Oct. 30, 2018 – To better meet customer needs, John Deere is introducing its updated E-Series Knuckleboom Loaders. Already known for superior torque and durability, the updated 2019 337E and 437E models feature up to an eight per cent boost in fuel economy, ensuring output is maximized and power is not sacrificed. The updated 337E and 437E Knuckleboom Loaders still retain all of the acclaimed features from the original product launch. Each E-Series machine is equipped with a powerful and proven Final Tier 4 engine. Additionally, the E-Series models offer increased swing torque and boom lift compared to the previous series. Other features improve serviceability, including a ground-level oil drain and filter change, optional electric refill pump and a smaller, 35-gallon hydraulic oil reservoir. All John Deere knuckleboom loaders come standard with JDLink telematics five years in base, offering owners and operators remote diagnostics and streamlined connectivity. 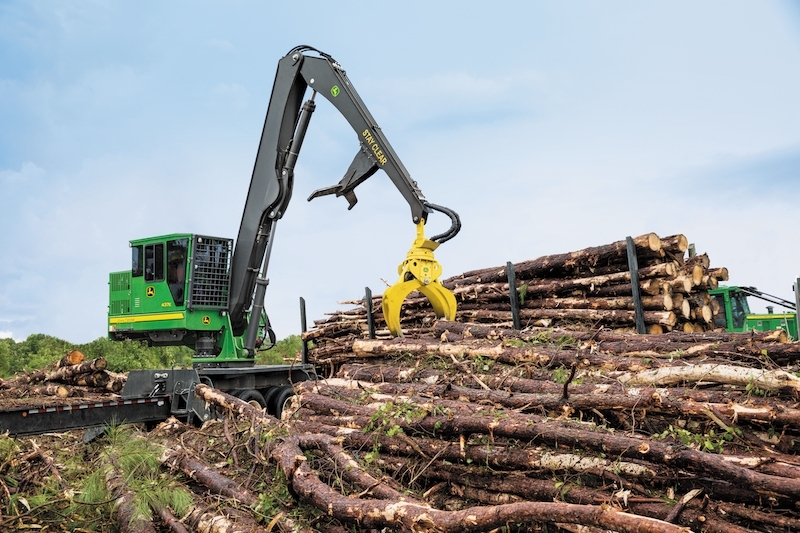 To learn more about the updates to the 337E and 437E, as well as the full line of John Deere Forestry equipment, visit a local John Deere or www.johndeere.com. Survey snippet 11: Who will take over?